You will earn bonus stakes for being active in main chat (ask questions, saying Hi, etc.). If you are not in the chats and not active in main one - you won’t receive stakes for the campaign at all. To ask questions about bounty please join to Bettium bounty chat (https://t.me/ubexbounty) or ICObounty.info community chat (https://t.me/icobounty_info). All important announcements and news will be there first. This is the first and very important rule. All reports should be made in accordance with timeline posted below. Reports made out of timeline won’t be counted. You will be receiving notifications about reporting dates in UBEX bounty chat. By filling in the application form on any activity you confirm that you have read, understood and you fully agree with all of the terms and conditions of the campaign. This is the basic rule. Further in case of any controversial situations, excuses on your part about not knowing the rules (or any particular rule) will lead to the immediate disqualification from the entire campaign. Disqualification from any activity means full disqualification from the whole bounty campaign (valid in case you participate in several activities). Approval or rejection of your form takes around 48 hours after the application. You can check your status in the spreadsheet. We reserve the right to reject your application without explanation. 1. All members need to post at least 5 posts each week having our signature to be eligible for a reward. 3. Posts in this thread will not count. Posts in Bounties (incl. your reports in other bounties) won’t be counted. 4. Posts should be in English or in your local language. 5. Users who are found out to be spamming will be banned from the campaign. 6. Using multiple signatures at the same time is prohibited. 7. You are not allowed to use another site's avatar. 10. Low Quality posts are not accepted. 11. Post should be at least 80 characters long without spaces. Full Member should add our avatar and personal text. 1. Add the signature campaign bb-code matching your account rank to the Signature field of your Bitcointalk profile. Extra rewards will be given for promoting UBEX in other Telegram Groups. 1. Participants will earn 3 stakes per week. 2. Participants will additionally earn 1 stake per each constructive message they proceed regards to UBEX in other relevant Telegram Groups (No weekly limit). 1. To receive the extra reward, provide the links to your Telegram messages twice a week in a post in this thread in Bitcointalk Forum. 2. Posts MUST be made in OTHER relevant Telegram Groups. 1. Your Facebook account must have at least 500 followers. Number of friends will be fixed at the beginning of campaign and could not be changed during the campaign. 1. 1 post about UBEX (10 words min) with a link to the official website and hashtag #UbexAI (Only 1 post per day will be counted) – 1 Stake. 2. 1 like + 1 repost from UBEX official page on Facebook (Only 1 repost per day will be counted) – 1 Stake. 3. All posts must be in English. 6. You cannot remove posts, likes or reposts you made during this bounty campaign or unfollow our Facebook account until its end plus one week. 1. Your Twitter account must have at least 500 followers. 2. Your Twitter followers must be real - 90% in Twitteraudit. If you have less than 90% real followers you will be kicked out of the campaign. Cleaning your Twitter account is useless. 1. 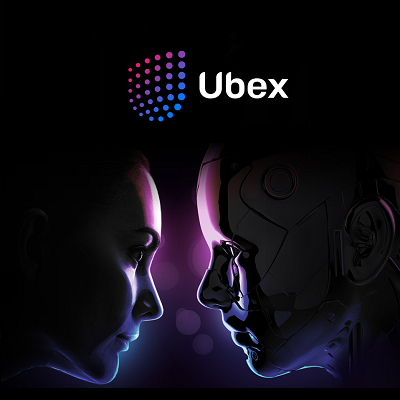 1 tweet about Ubex (10 words min) with a link to the official website and hashtag #UbexAI (1 tweet per day will be counted) – 1 Stake. 2. 1 like+retweet of 1 Ubex tweet (Only 1 retweet per day will be counted) – 1 Stake. 2. Only one Twitter account per person is allowed. 3. All tweets must be in English. 5. You must make at least 10 retweets overall (over the course of the whole campaign), only from (tweeted by) our official Twitter account. 6. You cannot remove tweets or retweets you made during this bounty campaign or unfollow our Twitter account until its end plus one week. This will make sure you quickly pass all checks. We are looking for bloggers, journalists, and video content creators who are willing to write about UBEX project and upcoming token sale. All content should be unique and original. Not for Medium, Steemit (Golos), Blogspot, Telegram channels. 1. For video bloggers (youtubers) - you must have at least 1500 subscribers on your Youtube channel where you’re going to publish content. Video should be 3+ minutes long. 2. For written content makers - articles must be posted on platforms/websites with minimum 2000 daily visitors. You should include website link https://www.ubex.com and Telegram group https://t.me/UbexAI to every video or article. Blogs bounty will be distributed between the creators of small posts, reposts, press releases and other posts and articles about UBEX project (300+ words). Sites like Medium, Steemit (Golos) or Telegram channels are in this group. Blogspot/Blogger won’t be accepted. 1. Your Reddit profile must have at least 10 karma points. 1. 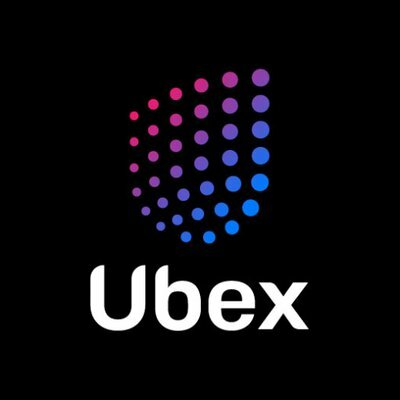 Follow the official UBEX page and upvote each post during the campaign – 5 Stakes. 2. You must make at least 10 comments overall (during the whole campaign). 4. Posts must be constructive and on-topic. Spam, low-quality posts, copypaste, and off-topic posts are strictly prohibited. Users found doing so will be immediately and permanently disqualified from all bounty activities. 1. You must be a native speaker of the target language. 3. Comments must be constructive and at least 30 characters in length. Spam posts will not count. 1. To make valid content, posts must contain hashtag #UbexAI, 300+ words. Posts with less than the valid number of words will not qualify. 2. The posts must not be removed from your personal page until the end of the bounty campaign. The posts must be public. 3. You must be the owner of the LinkedIn accounts you will use and must be original. Fake, dead, inactive, and bot accounts will not be accepted.